Aikido is a Japanese martial art based on principles of harmony and unity. The club is vibrant and friendly and welcomes visitors and new members. Contact: David Hibbs, 01446 772051, secretary@aikidocardiff.org.uk. Tuesday & Friday 8-10pm Morganstown Village Hall. The Cardiff Corinthians Football Club (Corries) play at the Riverside Football Ground in Radyr (Close to the Cricket Ground) and are in Division 3 of the Welsh League. 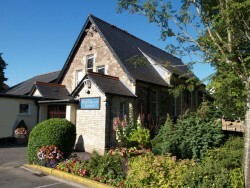 They were founded in 1898 and have played at Radyr since 1974. They have won the Welsh Amateur Cup 5 times in 7 finals. The City of Cardiff (Melingriffith) Brass Band was formerly called Radyr and Morganstown (Melingriffith) Band and play in concerts around Cardiff including Radyr and Morganstown. 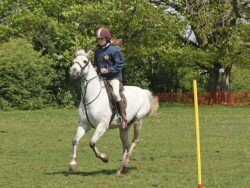 They also take part and have won prizes in several competitions. Imaging 2000 is a small group of amateur, but interested, photographers which meets once a fortnight in the Old Church Rooms, Radyr to discuss, exhibit, produce photography. We organise internal and external photographic competitions. With the variety of interests it is an excellent forum for both young and not so young photographers to learn about the subject and improve their camera skills. If you are interested in joining us, please visit the Imaging 2000 information page of this website for more information. More photos can be found on the flickr site – http://www.flickr.com/groups/imaging_2000. 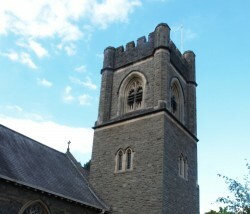 Mae Merched y Wawr Bro Radur yn cwrdd y nos Fercher cyntaf pob mis yn Festri’r Capel Methodistiaid, Windsor Rd. Am fwy o fanylion cysylltwch a’r ysgrifenyddes Mrs. Glenys Thomas ar 029 2061 0209. The Local History Society meets about 8 times per year on a Thursday at the Old Church Rooms for a series of talks on topics of local interest. Click here for more information, and for the current programme of talks and visits. Follow this link for the WI Page. 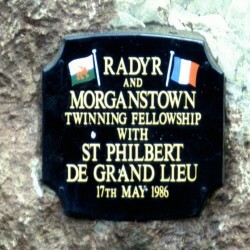 The twinning fellowship was formed to promote friendly relations between Radyr & Morganstown and the French town of St Philbert de Grand Lieu. Membership is open to any person, family or group, living or working in the villages interested in the objectives of bringing the two communities closer together in the area of culture, sport and education. Radyr Athletic Club consists of Radyr Cricket Club and Cardiff Corinthians Amateur Football Club. Two productions a year. New members always welcome. 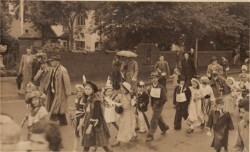 The Radyr Drama Society was formed in 1982 by a group of enthusiasts living locally in Radyr and Morganstown. It performed its first play: All in Good Time by Bill Naughton, in May the following year. 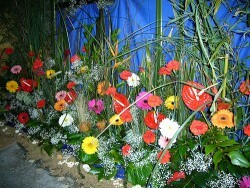 The group thrives entirely on the good will, hard work and support of its members, helpers and audiences. For more information, click here for the Drama Society pages. This is a very informal, no examination, low stress keyboard group! What ever your level, you decide what you want to play and the progress you want to make. Our expert tutor is there to make suggestions and provide encouragement. 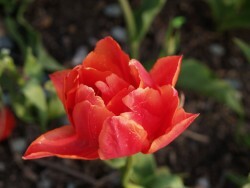 We are a happy, friendly group and would welcome new members. Bring your own electronic keyboard and headphones. For over 30 years, the Radyr Musical Society has been staging musicals, operettas, and concerts in the locality, previously under the name ‘Radyr Parish Music Group’. We put on a full musical production in February each year, and a concert in early summer. We also have a number of social events for members, and the community, throughout the year, including dinners, quiz nights, treasure hunts, and Barn Dances. New members, on or off stage, are always welcome. 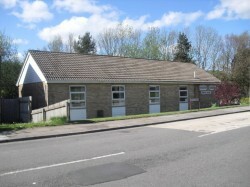 Meetings are held at the Old Church Rooms, Park Road, Radyr adjacent to its junction with the main B4262 road through the village. Entrance is free for RCTS members and £2 for non members. Tea and coffee is provided. If you wish to place your daughter‘s name on the waiting list to join or find out more information about Rainbows, Brownies or Guides please visit www.girlguiding.org.uk ‘Want to find out more about Guiding Section’ where you can register by choosing the ‘Register your interest in Girlguiding UK’ tab. You will then be contacted by a leader to confirm your daughter has been placed on the waiting list. Cardiff West Rotary Club, meets at Radyr Golf Club every Tuesday evening at 6:30 for 6:45 pm, (except following a bank holiday). If you would like to become involved with helping your local and greater community whilst having some fun, please contact the club secretary. New members, both male and female are always welcome. The Rotary Club of Llandaff (established in 1946) has members from R & M and welcomes new members who find a mixture of evening and lunchtime meetings convenient. 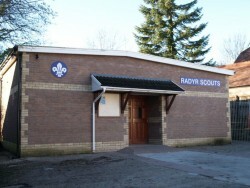 This Club is involved in numerous national and local activities, including the annual Christmas Parcel collection in R&M. Main meetings on the 3rd Thursday of each month at Morganstown Village Hall at 1:15pm, with other activities through the month.